Generalleutnant Artur Schmitt while interned at Camp 30 in Bowmanville, Ontario, Canada. 18 July 1907: Entered the Royal Bavarian Army as a Fahnenjunker; later a Leutnant in the Bavarian 18. Infanterie-Regiment Prinz Ludwig Ferdinand. 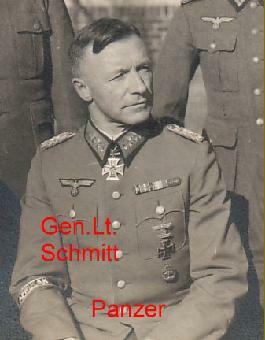 World War I: Schmitt was taken prisoner by the British at an unknown date and spent the remainder of the war in captivity. 30 September 1920: Separated from the Army and joined the Bavarian Land Police. 1 October 1935: Returned to the Army with the rank of Oberst. 1 February 1937: Commander of Feldzeug [Armament] Command XI. 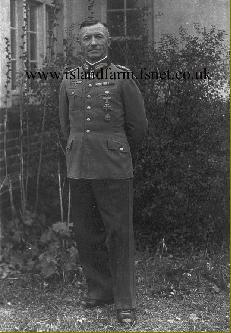 September 1940: Deputy Leader of the 555th (Upper Rhine) Infantry Division. 25 September 1940: Commander of Feldzeug Command XI. 19 February 1941: Higher Feldzeug Staff 2. 19 September 1941: Commander of Rear Army Area 556 in North Africa. 21st December 1947 transferred to Camp No 6 CIC Neuengamme (Civil Internment Camp). 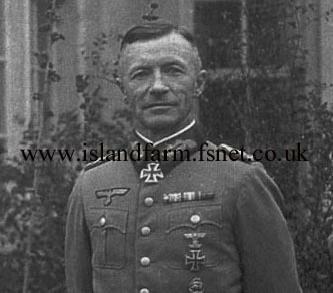 Knight’s Cross of the Iron Cross: 15 February 1942, Generalmajor, Commander of Rear Army Area 556 and Leader of a Battle Group in North Africa.